CSK vs SRH match no 20 has been played in Rajeev Gandhi International Stadium Hyderabad. Ken williumson captain of SRH won the toss and opt to bowl first. Suresh Raina 54 of 43, Ambati Raydu 79 of 43 and Dhoni 25 of 12 delivery played great inning . 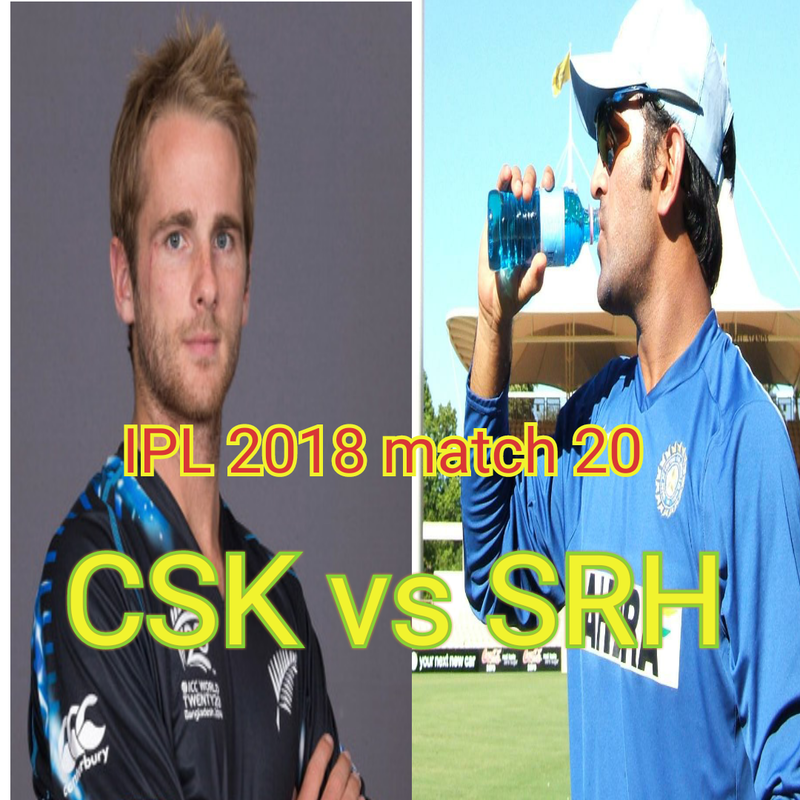 CSK scored 182/3 in 20 overs. B Kumar and Rashid Khan got 1-1 wicket. Kene Williumson captain of SRH scored 84 runs in just 51 delivery in which he smashed 5 4s and 5 6s. Yusuf Pathan 45 of 27 delivery smashed 1 4s and 4 6s. Sakib Al Hasan(24) and Rashid Khan (17) also played good inning but that was not enough to win. SRH could score only 178/6 in 20 overs and lost the match by 4 runs. Deepak Chahar got 3 wickets for 15 runs. S Thakur, K Sharma and Bravo got 1-1 wicket. The result is CSK won the match by 4 runs.